The Doc’s littlest cacher celebrates his 2nd Birthday! 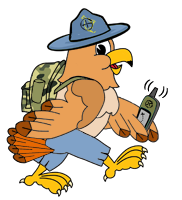 Join their weekend full of fun, friends, family and of course some GEOCACHING! (The GCDoc Video) GEOCACHING Maker Madness! The Doc attends his local Maker Madness event and brings along two of his most recent GEOCACHE containers! The Doc and his two oldest kiddos find a VERY WINTER-FRIENDLY GEOCACHE!